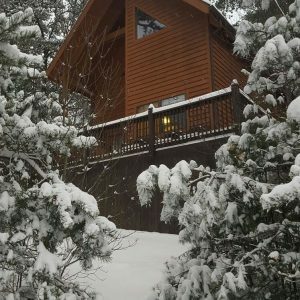 My family and I vacationed this year in the Blue Ridge Mountains and stayed at one of the cabins provided by Jill. Being our first visit to the area, we found the cabin to offer everything we could have asked for. With three small children, my wife and I, and including our two dogs, there was plenty of space. Having a fully-furnished kitchen and washer/dryer was very helpful. The cabin was conveniently located to many of the places we were looking to visit and was quite accessible from the parkway. We really appreciated our stay here and hope to return again in the near future. Thank you Jill!